The Holyrood Hotel is located in the main street of Bundoran, Co. Donegal. The Holyrood Hotel offers spacious, comfortable, ensuite bedrooms which guarantee our guests a relaxing, stress free environment. 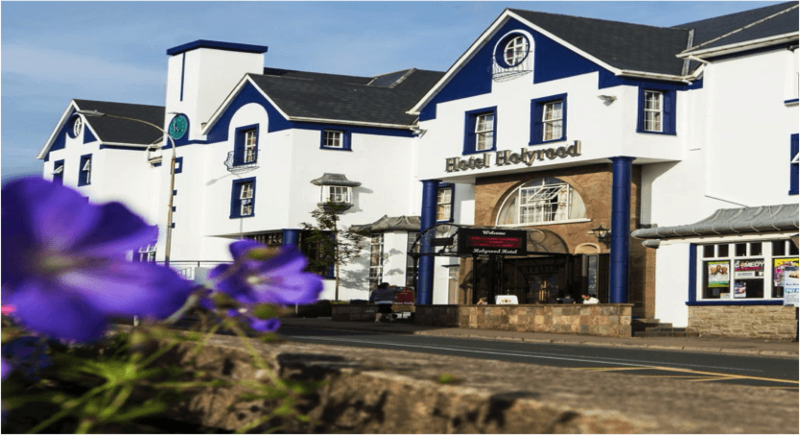 The Holyrood Hotel is situated in the heart of Bundoran close to all local amenities and attractions such as Bundoran’s Blue Flag sandy beach, the Bundoran Cineplex, Bundoran’s 18 Hole links Golf Course and much more. During the months of July and August & at other school holiday times our exclusive kids club – go!kids! is open. Your kids will have guaranteed fun with our dedicated kids club organisers. Activities include Bouncy Castles, Bungee Runs, Games, Arts & Crafts, Treasure Hunts, Swimming, and optional Trips to the Cinema & Bowling Alley. Our go!kids! club is exclusive to hotel guests and offers parents the peace of mind that they can have some time to relax knowing that their kids are being supervised by our trained go!kids! organisers. We also have FREE Family Nightly Entertainment (July & August) in the hotel lobby where our go!kids! Characters – Holly, Pinky, Leo & Suzi will meet and greet the children and join in with the Fun & Dancing! 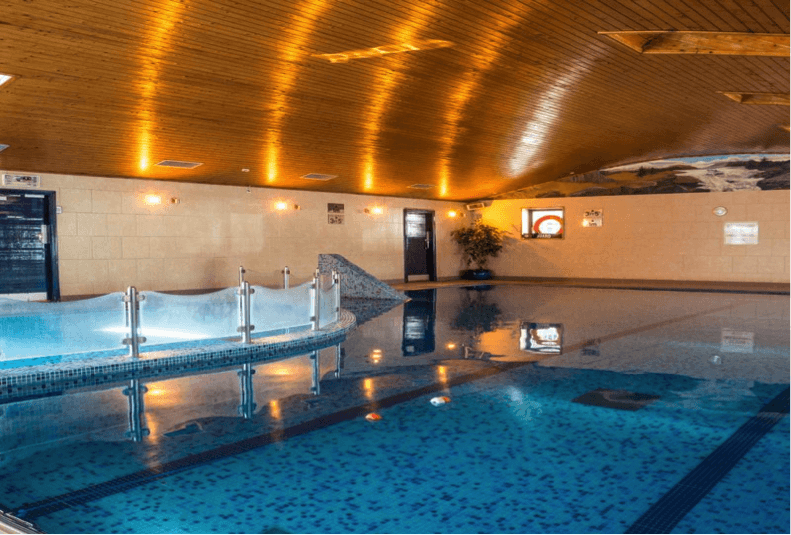 During your stay you will also have full use of our Blue River Leisure Centre which includes a Swimming Pool, Sauna, Steam Room and a Fully Loaded Gym. Our Escape Beauty & Spa is a place of relaxation and rejuvenation. The Escape Spa offers a wide range of treatments such as Massages, Facials, Gel Nails & invigorating Seaweed & Hydrotherapy Baths. 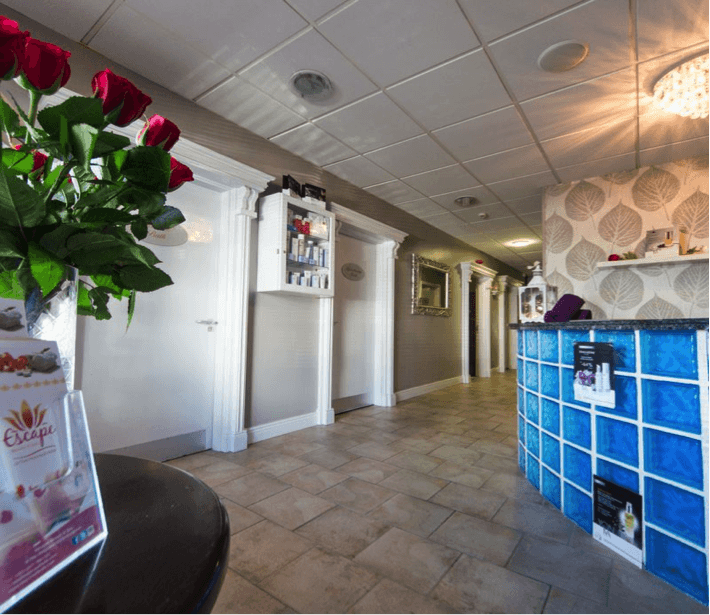 The Escape Spa offers both face and body treatments from the luxurious French Brand Yon-Ka, Sienna X Tanning as well as Jessica for both hands and feet. The hotel’s Waterfront Bar has beautiful views over the stunning Donegal Bay and 2 cosy fires to keep you warm during the Winter months. You won’t find a better place to unwind and enjoy one of our delicious cocktails. The hotel’s Waterfront Bar offers a traditional environment with entertainment and lots of Donegal-style craic. There is also a delicious carvery and Café Caesar, which serves a range of coffees, muffins, soups, sandwiches and much more. The Watermelon Restaurant offers a selection of mouth-watering and tempting dishes to choose from. Carefully selected and prepared dishes use only fresh local produce ranging from amazing fish dishes to chargrilled steaks and vegetarian options. It is a fun, inviting, relaxed place where everyone’s needs are looked after. The Watermelon restaurant is renowned for its beautiful Homemade Desserts. 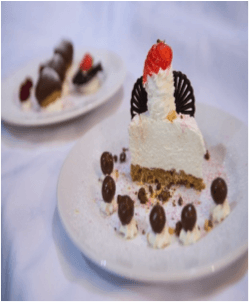 Specially Priced Festive Family Package……. Mid Term, And Let Us Do All The Spoiling Over You & Your Family And Take A Well Deserved Break. So much Time & Energy Into Continually Raising The Standards & Quality Of Our go!Kids Club, That We Are Now Proud To say Is One Of The Best In Ireland. Evening For The Family Nightly Entertainment…. Stint In Our Steam Room. Offer You A 20% Discount OFF As Guests Of The Holyrood. Dinners And To Top It Off, All Our Desserts Are Home-Made. Also Free Wifi Throughout The Hotel Foyer & Bedrooms. Golf,Horse Riding, Surfing & Water Sports & Amusement Park ..
Sligo City And Many More To Mention.